U.S. 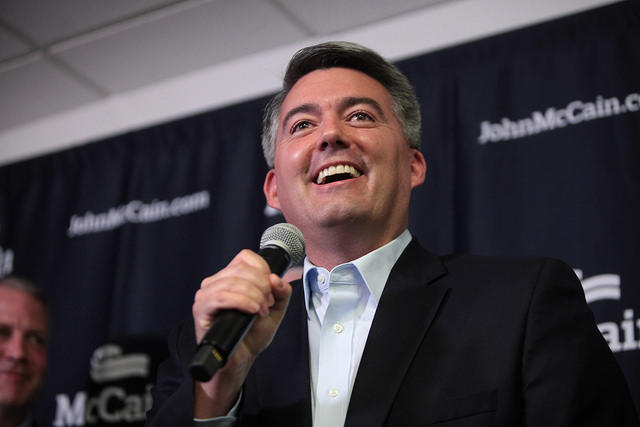 Senator Cory Gardner of Colorado beat incumbent Democrat Mark Udall in 2014. The race happened back in 2014, between Senate candidate Cory Gardner and incumbent Mark Udall. Gardner ended up winning by just a few percentage points. It was the first time in 36 years that a candidate beat an incumbent senator in Colorado, and it helped Republicans gain control over the Senate. “We shook up the Senate! You shook up the Senate! Your message was heard from Nevada to Pennsylvania Avenue,” Gardner said in his victory speech on election night. The Washington Post has published a report it obtained from Cambridge Analytica and its collaborator, SCL Elections. The report claims that the companies helped boost Republican voter turnout in Colorado. “The CA-SCL team produced substantial quantities of creative work including direct mail and digital communications products, door canvassing and phone scripts, lists of voters for direct mail and other contact mediums, and other products and services that made a substantial contribution to the three victorious Republican campaigns. These victories ultimately resulted in the GOP taking control of the Colorado State Senate,” it reads. 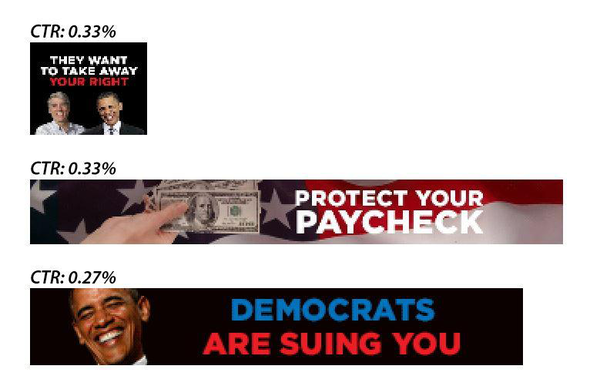 The report also claims that Cambridge Analytica reached thousands of people in targeted online ads and that one of its “top performing campaign banners,” below, was specifically against Udall. But should those claims be taken with a grain of salt? “Absolutely. There’s no way to verify that independently,” says Sarah Bryner, research director with the Center for Responsive Politics, a nonpartisan, nonprofit research group that tracks money in U.S. politics. “Cambridge Analytica can make any claim it wants to,” she says. And, she adds, unlike with political ads on television or ads sponsored by political campaigns, there’s no way to verify the impact of online ads by vendors like Cambridge Analytica and SCL Elections. In the end, she says it’s possible that Cambridge Analytica’s work really made no difference at all -- and specifically in the Colorado case. What is known is that Republicans took control over the Colorado state Senate and the U.S. Senate. And importantly, it’s possible that – regardless of their impact on elections -- Cambridge Analytica may have improperly obtained and used voter data from Facebook. That’s an issue that attorneys general across the country, including those in Colorado, Montana and Idaho, are now looking into.